Do you have Sciatica? or even worse have you been diagnosed with a herniated disc? I have a relationship with a excellent diagnostic center here in New York City, when a patient is diagnosed with a herniated disc they need information to make the right decision. Information is crucial because if a patient does not understand their condition they may be guided into a treatment that they cannot undue like a back surgery. A conservative approach would be to recommend Physical therapy for 6weeks. Chiropractic care should be included in management of the patient with the herniated disc. In our NYC Multi-disciplinary office we utilize a integrated approach to treat and correct herniated disc problems with a combination of Physical therapy, Chiropractic care, Spinal decompression, acupuncture and advanced Core strengthening techniques. We offer the most Comprehensive treatment in NYC for back Pain and the herniated disc. The intervertebral disc has been estimated to be responsible for 26-40% of low back symptoms. 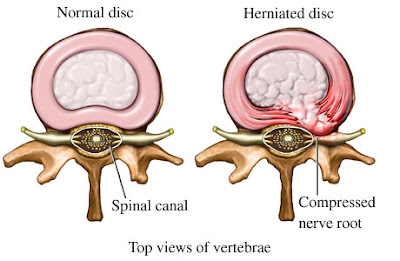 Disc Herniations are defined as displacement of disc material beyond the limits of the intervertebral disc space, involving less than 50% of the disc circumference and rarely occur without concomitant or pre-existing mechanical, degenerative, or muscular deconditioning. Non-surgical spinal decompression using the DRX 9000,Core strengthening using the Spine Force. Rehabilitation of the patient with a herniated disc consits of improving their strength and flexibility while, at the same time, addressing their posture and habits. If you live or work in Manhattan,NYC and suffer with back consider a Comprehensive approach to not only get rid of your pain but solve the problem. Have your MRI,NCV,EMG test's evaluated to see if you can benefit from our combined approach. Visit Dr. Steven Shoshany's website @ www.drshoshany.com to send your reports or learn more about methods. 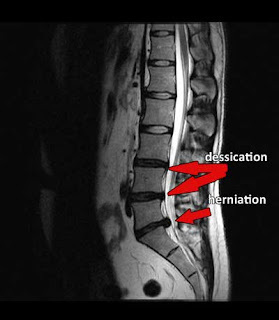 Or visit www.livingwellnewyork.com to learn more about our Comprehensive disc herniation treatment methods.